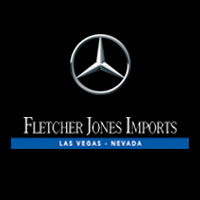 This 2018 Mercedes-Benz E-Class E 300 is proudly offered by Fletcher Jones Imports Las Vegas There's a level of quality and refinement in this Mercedes-Benz E-Class that you won't find in your average vehicle. Based on the superb condition of this vehicle, along with the options and color, this Mercedes-Benz E-Class E 300 is sure to sell fast. The Mercedes-Benz E-Class E 300 will provide you with everything you have always wanted in a car -- Quality, Reliability, and Character. You can finally stop searching... You've found the one you've been looking for. This outstanding example of a 2018 Mercedes-Benz Metris Passenger Van is offered by Fletcher Jones Imports Las Vegas. This Mercedes-Benz includes: ELECTRICAL SLIDING DOOR PACKAGE Power Third Passenger Door Power Fourth Passenger Door Third Passenger Door Fourth Passenger Door BLIND SPOT ASSIST PACKAGE Steering Wheel Audio Controls Power Mirror(s) Heated Mirrors Leather Steering Wheel Trip Computer Blind Spot Monitor DRIVER COMFORT PACKAGE Power Passenger Seat Power Driver Seat Passenger Adjustable Lumbar Driver Adjustable Lumbar PREMIUM OVERHEAD CONTROL PANEL LOWER CONSOLE STORAGE TRAY CRUISE CONTROL Cruise Control 8-SEAT CONFIGURATION, DRIVER ENHANCED AC PACKAGE A/C Climate Control BUMPERS PAINTED IN VEHICLE COLOR WHEELS: 5-SPOKE 7J Aluminum Wheels LIFT-UP TAILGATE W/PREMIUM TRIM INTERIOR LIGHTING IN REAR COURTESY LIGHT FOR TAILGATE *Note - For third party subscriptions or services, please contact the dealer for more information. * There is no reason why you shouldn't buy this Mercedes-Benz Metris Passenger Van . It is incomparable for the price and quality. This is the one. Just what you've been looking for. Look no further, you have found exactly what you've been looking for. Contact Fletcher Jones Imports Las Vegas today for information on dozens of vehicles like this 2018 Mercedes-Benz AMG® GT AMG® GT S. This Mercedes-Benz includes: TIRES: 265/35R19 FR 295/30R20 RR HIGH-PERFORMANCE (STD) Tires - Front Performance Tires - Rear Performance BLACK DINAMICA HEADLINER LANE TRACKING PACKAGE Lane Departure Warning Blind Spot Monitor AMG® MATTE CARBON FIBER TRIM EXCLUSIVE INTERIOR PACKAGE DISTRONIC PLUS® Adaptive Cruise Control FIXED PANORAMA ROOF Generic Sun/Moonroof Sun/Moonroof WHEELS: 19 FR/20 RR AMG® CROSS-SPOKE BLACK Aluminum Wheels AMG® EXTERIOR CARBON FIBER PACKAGE AMG® CARBON FIBER DOOR SILL COVERS FULL NAPPA AMG® PERFORMANCE STEERING WHEEL Leather Steering Wheel HEATED & ACTIVE VENTILATED FRONT SEATS Cooled Front Seat(s) Heated Front Seat(s) *Note - For third party subscriptions or services, please contact the dealer for more information. * Pull up in the vehicle and the valet will want to parked on the front row. This Mercedes-Benz AMG® GT is the vehicle others dream to own. Don't miss your chance to make it your new ride. The look is unmistakably Mercedes-Benz, the smooth contours and cutting-edge technology of this Mercedes-Benz AMG® GT AMG® GT S will definitely turn heads. The Mercedes-Benz AMG® GT AMG® GT S will provide you with everything you have always wanted in a car -- Quality, Reliability, and Character. This 2019 Mercedes-Benz C-Class C 300 is proudly offered by Fletcher Jones Imports Las Vegas This Mercedes-Benz includes: WHEELS: 19 AMG® TWIN 5-SPOKE W/BLACK ACCENTS Tires - Front All-Season Tires - Front Performance Tires - Rear Performance Tires - Rear All-Season MULTIFUNCTION SPORT LEATHER STEERING WHEEL 64-COLOR AMBIENT LIGHTING AMG® LINE INDUCTIVE WIRELESS CHARGING PARKING ASSISTANCE PACKAGE Automatic Parking Back-Up Camera NATURAL GRAIN GREY OAK WOOD TRIM SD-CARD NAVIGATION PRE-WIRING CHROME DOOR HANDLE INSERTS (PIO) BLACK FABRIC HEADLINER MB ENTRY NAVIGATION Navigation System BLACK SOFT TOP (STD) Convertible Soft Top FLOORMATS Floor Mats NIGHT PACKAGE PREMIUM PACKAGE HD Radio Satellite Radio Premium Sound System Power Folding Mirrors *Note - For third party subscriptions or services, please contact the dealer for more information. * The 2019 Mercedes-Benz C-Class C 300 Convertible continues to beat the competition in nearly every way. A sporty driving experience that still maintains impressive levels of ride comfort, along with an exceptional, driver-focused interior make the Mercedes-Benz a recommended pick among convertibles. You appreciate the finer things in life, the vehicle you drive should not be the exception. Style, performance, sophistication is in a class of its own with this stunning Mercedes-Benz C-Class. Enjoy the drive without worrying about directions thanks to the built-in navigation system. This 2019 Mercedes-Benz C-Class C 300 is offered to you for sale by Fletcher Jones Imports Las Vegas. This Mercedes-Benz includes: 10.25 CENTER DISPLAY WHEEL LOCKING BOLTS (PIO) Wheel Locks CONTROL CODE 64-COLOR AMBIENT LIGHTING CRYSTAL GREY FABRIC HEADLINER NATURAL GRAIN GREY OAK WOOD TRIM PREMIUM PACKAGE Keyless Start HD Radio Hands-Free Liftgate Satellite Radio Power Door Locks Keyless Entry Power Liftgate Remote Trunk Release BLIND SPOT ASSIST Blind Spot Monitor HEATED FRONT SEATS Heated Front Seat(s) ILLUMINATED DOOR SILLS BODY COLOR REAR SPOILER (PIO) Rear Spoiler WHEELS: 18 MULTISPOKE W/BLACK ACCENTS Tires - Front Performance Tires - Rear Performance *Note - For third party subscriptions or services, please contact the dealer for more information. * There's a level of quality and refinement in this Mercedes-Benz C-Class that you won't find in your average vehicle. The Mercedes-Benz C-Class C 300 will provide you with everything you have always wanted in a car -- Quality, Reliability, and Character. This is about the time when you're saying it is too good to be true, and let us be the one's to tell you, it is absolutely true. This outstanding example of a 2019 Mercedes-Benz C-Class C 300 is offered by Fletcher Jones Imports Las Vegas. This Mercedes-Benz includes: 10.25 CENTER DISPLAY WHEEL LOCKING BOLTS (PIO) Wheel Locks CONTROL CODE 64-COLOR AMBIENT LIGHTING CRYSTAL GREY FABRIC HEADLINER NATURAL GRAIN GREY OAK WOOD TRIM COMFORT BOX (PIO) PREMIUM PACKAGE Keyless Start HD Radio Hands-Free Liftgate Satellite Radio Power Door Locks Keyless Entry Power Liftgate Remote Trunk Release BLIND SPOT ASSIST Blind Spot Monitor HEATED FRONT SEATS Heated Front Seat(s) ILLUMINATED DOOR SILLS BODY COLOR REAR SPOILER (PIO) Rear Spoiler WHEELS: 18 MULTISPOKE W/BLACK ACCENTS Tires - Front Performance Tires - Rear Performance *Note - For third party subscriptions or services, please contact the dealer for more information. * You appreciate the finer things in life, the vehicle you drive should not be the exception. Style, performance, sophistication is in a class of its own with this stunning Mercedes-Benz C-Class. You can finally stop searching... You've found the one you've been looking for. This is the one. Just what you've been looking for. This 2019 Mercedes-Benz C-Class C 300 is offered to you for sale by Fletcher Jones Imports Las Vegas. This Mercedes-Benz includes: 10.25 CENTER DISPLAY CONTROL CODE CRYSTAL GREY FABRIC HEADLINER BRUSHED ALUMINUM DOOR TRIM Woodgrain Interior Trim PREMIUM PACKAGE Keyless Start HD Radio Hands-Free Liftgate Satellite Radio Power Door Locks Keyless Entry Power Liftgate Remote Trunk Release BLIND SPOT ASSIST Blind Spot Monitor HEATED FRONT SEATS Heated Front Seat(s) BODY COLOR REAR SPOILER (PIO) Rear Spoiler WHEELS: 18 MULTISPOKE W/BLACK ACCENTS Tires - Front Performance Tires - Rear Performance BLACK MIRROR HOUSING COVERS (PIO) BURMESTER PREMIUM SOUND SYSTEM Premium Sound System *Note - For third party subscriptions or services, please contact the dealer for more information. * Pull up in the vehicle and the valet will want to parked on the front row. This Mercedes-Benz C-Class is the vehicle others dream to own. Don't miss your chance to make it your new ride. Beautiful color combination with Iridium Silver Metallic exterior over Magma Grey interior making this the one to own! This is about the time when you're saying it is too good to be true, and let us be the one's to tell you, it is absolutely true. This 2019 Mercedes-Benz C-Class C 300 is offered to you for sale by Fletcher Jones Imports Las Vegas. This Mercedes-Benz includes: 10.25 CENTER DISPLAY NATURAL GRAIN WALNUT WOOD TRIM CONTROL CODE PORCELAIN FABRIC HEADLINER COMFORT BOX (PIO) PREMIUM PACKAGE Keyless Start HD Radio Hands-Free Liftgate Satellite Radio Power Door Locks Keyless Entry Power Liftgate Remote Trunk Release BLIND SPOT ASSIST Blind Spot Monitor HEATED FRONT SEATS Heated Front Seat(s) WHEELS: 18 MULTISPOKE W/BLACK ACCENTS Tires - Front Performance Tires - Rear Performance BURMESTER PREMIUM SOUND SYSTEM Premium Sound System *Note - For third party subscriptions or services, please contact the dealer for more information. * There's a level of quality and refinement in this Mercedes-Benz C-Class that you won't find in your average vehicle. Just what you've been looking for. With quality in mind, this vehicle is the perfect addition to take home. The look is unmistakably Mercedes-Benz, the smooth contours and cutting-edge technology of this Mercedes-Benz C-Class C 300 will definitely turn heads. This 2019 Mercedes-Benz C-Class C 300 is offered to you for sale by Fletcher Jones Imports Las Vegas. This Mercedes-Benz includes: 10.25 CENTER DISPLAY CONTROL CODE 64-COLOR AMBIENT LIGHTING NATURAL GRAIN GREY OAK WOOD TRIM COMFORT BOX (PIO) BLACK FABRIC HEADLINER PREMIUM PACKAGE Keyless Start HD Radio Hands-Free Liftgate Satellite Radio Power Door Locks Keyless Entry Power Liftgate Remote Trunk Release BLIND SPOT ASSIST Blind Spot Monitor HEATED FRONT SEATS Heated Front Seat(s) ILLUMINATED DOOR SILLS BODY COLOR REAR SPOILER (PIO) Rear Spoiler WHEELS: 18 MULTISPOKE W/BLACK ACCENTS Tires - Front Performance Tires - Rear Performance BLACK MIRROR HOUSING COVERS (PIO) BURMESTER PREMIUM SOUND SYSTEM Premium Sound System *Note - For third party subscriptions or services, please contact the dealer for more information. * Pull up in the vehicle and the valet will want to parked on the front row. This Mercedes-Benz C-Class is the vehicle others dream to own. Don't miss your chance to make it your new ride. Just what you've been looking for. With quality in mind, this vehicle is the perfect addition to take home. Beautiful color combination with Mojave Silver Metallic exterior over Magma Grey interior making this the one to own! Fletcher Jones Imports Las Vegas is excited to offer this 2019 Mercedes-Benz C-Class. This Mercedes-Benz includes: 10.25 CENTER DISPLAY NATURAL GRAIN WALNUT WOOD TRIM CONTROL CODE WHEELS: 19 AMG® MULTISPOKE Tires - Front All-Season Tires - Front Performance Aluminum Wheels Tires - Rear Performance Tires - Rear All-Season LIVE TRAFFIC *PRICE TO FOLLOW* AMG® LINE Floor Mats BLACK FABRIC HEADLINER SD-CARD NAVIGATION PRE-WIRING PREMIUM PACKAGE Keyless Start HD Radio Hands-Free Liftgate Satellite Radio Power Door Locks Keyless Entry Power Liftgate Remote Trunk Release BLIND SPOT ASSIST Blind Spot Monitor HEATED FRONT SEATS Heated Front Seat(s) BODY COLOR REAR SPOILER (PIO) Rear Spoiler *Note - For third party subscriptions or services, please contact the dealer for more information. * Pull up in the vehicle and the valet will want to parked on the front row. This Mercedes-Benz C-Class is the vehicle others dream to own. Don't miss your chance to make it your new ride. You've found the one you've been looking for. Your dream car. The 2019 Mercedes-Benz exterior is finished in a breathtaking Brilliant Blue Metallic, while being complemented by such a gorgeous AMG® Silk Beige interior. This color combination is stunning and absolutely beautiful! Contact Fletcher Jones Imports Las Vegas today for information on dozens of vehicles like this 2019 Mercedes-Benz C-Class C 300. This Mercedes-Benz includes: 10.25 CENTER DISPLAY NATURAL GRAIN WALNUT WOOD TRIM CONTROL CODE PORCELAIN FABRIC HEADLINER COMFORT BOX (PIO) LIVE TRAFFIC *PRICE TO FOLLOW* PARKING ASSISTANCE PACKAGE Automatic Parking Back-Up Camera SD-CARD NAVIGATION PRE-WIRING PREMIUM PACKAGE Keyless Start HD Radio Hands-Free Liftgate Satellite Radio Power Door Locks Keyless Entry Power Liftgate Remote Trunk Release BLIND SPOT ASSIST Blind Spot Monitor HEATED FRONT SEATS Heated Front Seat(s) BODY COLOR REAR SPOILER (PIO) Rear Spoiler WHEELS: 18 MULTISPOKE W/BLACK ACCENTS Tires - Front Performance Tires - Rear Performance *Note - For third party subscriptions or services, please contact the dealer for more information. * You appreciate the finer things in life, the vehicle you drive should not be the exception. Style, performance, sophistication is in a class of its own with this stunning Mercedes-Benz C-Class. Beautiful color combination with Brilliant Blue Metallic exterior over Silk Beige interior making this the one to own! You can finally stop searching... You've found the one you've been looking for. You can find this 2019 Mercedes-Benz C-Class AMG® C 43 and many others like it at Fletcher Jones Imports Las Vegas. This Mercedes-Benz includes: NATURAL GRAIN BLACK ASH WOOD TRIM Woodgrain Interior Trim TELEPHONE PRE-WIRING/PORTABLE PHONE Cross-Traffic Alert HEATED FRONT SEATS (STD) Heated Front Seat(s) Bucket Seats AMG® PERFORMANCE EXHAUST BLACK SOFT TOP (STD) Convertible Soft Top AMG® NIGHT PACKAGE 64-COLOR AMBIENT LIGHTING WHEELS: 19 AMG® TWIN 5-SPOKE W/BLACK ACCENTS Tires - Front All-Season Tires - Front Performance Aluminum Wheels Tires - Rear Performance Tires - Rear All-Season SD-CARD NAVIGATION PRE-WIRING RED SEAT BELTS BLIND SPOT ASSIST Blind Spot Monitor PARKING ASSISTANCE PACKAGE Automatic Parking Back-Up Camera *Note - For third party subscriptions or services, please contact the dealer for more information. * If you're a driving enthusiast, you'll be grateful for the chance to drive this Mercedes-Benz C-Class AMG® C 43 convertible. You'll discover what millions of convertible owners have known for years -- nothing beats an open air experience. You appreciate the finer things in life, the vehicle you drive should not be the exception. Style, performance, sophistication is in a class of its own with this stunning Mercedes-Benz C-Class. Enjoy the grip and control of AWD performance in this nicely equipped Mercedes-Benz C-Class. You can find this 2019 Mercedes-Benz C-Class AMG® C 63 and many others like it at Fletcher Jones Imports Las Vegas. This Mercedes-Benz includes: DRIVER ASSISTANCE PACKAGE Lane Departure Warning Lane Keeping Assist Adaptive Cruise Control Cross-Traffic Alert PARKING ASSISTANCE PACKAGE Automatic Parking Back-Up Camera INDUCTIVE WIRELESS CHARGING W/NFC PAIRING AMG® NIGHT PACKAGE 64-COLOR AMBIENT LIGHTING AMG® PERFORMANCE STEERING WHEEL WHEELS: BLACK 19 AMG® FORGED CROSS-SPOKE Tires - Front Performance Aluminum Wheels Tires - Rear Performance HEATED AND VENTILATED FRONT SEATS Cooled Front Seat(s) Heated Front Seat(s) AMG® PERFORMANCE EXHAUST SYSTEM EXTENDED RESTART IN STOP MULTIMEDIA PACKAGE Navigation System Hard Disk Drive Media Storage MP3 Player EXTERIOR LIGHTING PACKAGE Headlights-Auto-Leveling NATURAL GRAIN BLACK ASH WOOD Woodgrain Interior Trim BLACK SOFT TOP (STD) Convertible Soft Top 12.3 DIGITAL INSTRUMENT CLUSTER *Note - For third party subscriptions or services, please contact the dealer for more information. * Very few convertibles have the comfort, style and performance of this well-maintained beauty. There's a level of quality and refinement in this Mercedes-Benz C-Class that you won't find in your average vehicle. Put away your phone and focus on the road, your new vehicle has navigation. Contact Fletcher Jones Imports Las Vegas today for information on dozens of vehicles like this 2019 Mercedes-Benz C-Class C 300. This Mercedes-Benz includes: REAR SPOILER (PIO) Rear Spoiler PARKING ASSIST PACKAGE Automatic Parking Back-Up Camera BLIND SPOT ASSIST Blind Spot Monitor LEATHER SEATING PACKAGE Seat Memory PREMIUM PACKAGE Keyless Start HD Radio Hands-Free Liftgate Satellite Radio Power Door Locks Keyless Entry Premium Sound System Power Liftgate Power Folding Mirrors Remote Trunk Release AMG® LINE Floor Mats BRUSHED ALUMINUM DOOR TRIM Woodgrain Interior Trim BLACK FABRIC HEADLINER ILLUMINATED DOOR SILL PANELS SD-CARD NAVIGATION PRE-WIRING WHEELS: 19 AMG® MULTISPOKE W/BLACK ACCENTS Tires - Front All-Season Tires - Front Performance Aluminum Wheels Tires - Rear Performance Tires - Rear All-Season ILLUMINATED STAR (PIO) NIGHT PACKAGE TELEPHONE PRE-WIRING/PORTABLE PHONE 64-COLOR AMBIENT LIGHTING INDUCTIVE WIRELESS CHARGING HEATED FRONT SEATS Heated Front Seat(s) *Note - For third party subscriptions or services, please contact the dealer for more information. * You deserve a vehicle designed for higher expectations. This Mercedes-Benz C-Class delivers with a luxurious, well-appointed interior and world-class engineering. Look no further, you have found exactly what you've been looking for. The Mercedes-Benz C-Class C 300 will provide you with everything you have always wanted in a car -- Quality, Reliability, and Character. Contact Fletcher Jones Imports Las Vegas today for information on dozens of vehicles like this 2019 Mercedes-Benz C-Class C 300. This Mercedes-Benz includes: 10.25 CENTER DISPLAY WHEEL LOCKING BOLTS (PIO) Wheel Locks CONTROL CODE 64-COLOR AMBIENT LIGHTING NATURAL GRAIN GREY OAK WOOD TRIM COMFORT BOX (PIO) AMG® LINE Floor Mats BLACK FABRIC HEADLINER PREMIUM PACKAGE Keyless Start HD Radio Hands-Free Liftgate Satellite Radio Power Door Locks Keyless Entry Power Liftgate Remote Trunk Release BLIND SPOT ASSIST Blind Spot Monitor HEATED FRONT SEATS Heated Front Seat(s) ILLUMINATED DOOR SILLS NIGHT PACKAGE BODY COLOR REAR SPOILER (PIO) Rear Spoiler WHEELS: 19 AMG® TWIN 5-SPOKE W/BLACK ACCENTS Tires - Front All-Season Tires - Front Performance Tires - Rear Performance Tires - Rear All-Season *Note - For third party subscriptions or services, please contact the dealer for more information. * There's a level of quality and refinement in this Mercedes-Benz C-Class that you won't find in your average vehicle. The Mercedes-Benz C-Class C 300 will provide you with everything you have always wanted in a car -- Quality, Reliability, and Character. This vehicle won't last long, take it home today. Contact Fletcher Jones Imports Las Vegas today for information on dozens of vehicles like this 2019 Mercedes-Benz C-Class C 300. This Mercedes-Benz includes: WHEELS: 19 AMG® TWIN 5-SPOKE W/BLACK ACCENTS Tires - Front All-Season Tires - Front Performance Tires - Rear Performance Tires - Rear All-Season MULTIFUNCTION SPORT LEATHER STEERING WHEEL 64-COLOR AMBIENT LIGHTING 12.3 DIGITAL INSTRUMENT CLUSTER AMG® LINE INDUCTIVE WIRELESS CHARGING NATURAL GRAIN GREY OAK WOOD TRIM SD-CARD NAVIGATION PRE-WIRING BLACK FABRIC HEADLINER WHEEL LOCKING BOLTS (PIO) Wheel Locks BLACK SOFT TOP (STD) Convertible Soft Top FLOORMATS Floor Mats NIGHT PACKAGE PREMIUM PACKAGE HD Radio Satellite Radio Premium Sound System Power Folding Mirrors *Note - For third party subscriptions or services, please contact the dealer for more information. * You'll see the world in a whole new light when you slip behind the wheel of this impressive 2019 Mercedes-Benz C-Class convertible. You deserve a vehicle designed for higher expectations. This Mercedes-Benz C-Class delivers with a luxurious, well-appointed interior and world-class engineering. Just what you've been looking for. With quality in mind, this vehicle is the perfect addition to take home. This outstanding example of a 2019 Mercedes-Benz C-Class C 300 is offered by Fletcher Jones Imports Las Vegas. This Mercedes-Benz includes: MULTIFUNCTION SPORT LEATHER STEERING WHEEL 64-COLOR AMBIENT LIGHTING 12.3 DIGITAL INSTRUMENT CLUSTER ILLUMINATED STAR (PIO) AMG® LINE INDUCTIVE WIRELESS CHARGING NATURAL GRAIN GREY OAK WOOD TRIM PRE-INSTALLATION FOR SD-CARD NAVIGATION BLACK FABRIC HEADLINER WHEEL LOCKING BOLTS (PIO) Wheel Locks BLACK SOFT TOP (STD) Convertible Soft Top FLOORMATS Floor Mats WHEELS: 18 AMG® 5-SPOKE W/BLACK ACCENTS Aluminum Wheels NIGHT PACKAGE PREMIUM PACKAGE HD Radio Satellite Radio Premium Sound System Power Folding Mirrors *Note - For third party subscriptions or services, please contact the dealer for more information. * Every day feels like Saturday when you're driving a well-maintained, plush convertible like this one. Today's luxury vehicle is not just about opulence. It's about a perfect balance of performance, comfort and attention to detail. This 2019 Mercedes-Benz C-Class is the perfect example of the modern luxury. There is no reason why you shouldn't buy this Mercedes-Benz C-Class C 300. It is incomparable for the price and quality. Contact Fletcher Jones Imports Las Vegas today for information on dozens of vehicles like this 2019 Mercedes-Benz C-Class C 300. This Mercedes-Benz includes: MULTIFUNCTION SPORT LEATHER STEERING WHEEL 64-COLOR AMBIENT LIGHTING 12.3 DIGITAL INSTRUMENT CLUSTER ILLUMINATED STAR (PIO) AMG® LINE INDUCTIVE WIRELESS CHARGING PARKING ASSISTANCE PACKAGE Automatic Parking Back-Up Camera WHEELS: 19 AMG® MULTISPOKE Tires - Front All-Season Tires - Front Performance Aluminum Wheels Tires - Rear Performance Tires - Rear All-Season PRE-INSTALLATION FOR SD-CARD NAVIGATION DARK BLUE SOFT TOP Convertible Soft Top BLACK FABRIC HEADLINER WHEEL LOCKING BOLTS (PIO) Wheel Locks FLOORMATS Floor Mats NATURAL GRAIN WALNUT WOOD TRIM PREMIUM PACKAGE HD Radio Satellite Radio Premium Sound System Power Folding Mirrors *Note - For third party subscriptions or services, please contact the dealer for more information. * With adjectives like sporty, classy, and downright indulgent to describe the 2019 Mercedes-Benz C-Class C 300, you'll love every minute of owning and driving this convertible. You may never go back to a closed-cabin car! You appreciate the finer things in life, the vehicle you drive should not be the exception. Style, performance, sophistication is in a class of its own with this stunning Mercedes-Benz C-Class. This is about the time when you're saying it is too good to be true, and let us be the one's to tell you, it is absolutely true. Why Buy a New Mercedes-Benz from FJ Imports? It’s easy to enjoy the benefits of a luxury car when you partner with a dealership that puts your needs first. FJ Imports offers one of the most astounding selections of new Mercedes-Benz Sedans, Coupes, Convertibles, and SUVs in the Las Vegas and Summerlin areas. What’s more, our new vehicle specials offer great savings opportunities, whether you’re financing or leasing. Have your sights set on a certain vehicle? Schedule a test drive today, and take it for a spin around Las Vegas!